AWS Elemental MediaConvert – File-based transcoding for OTT, broadcast, or archiving, with support for a long list of formats and codecs. Features include multi-channel audio, graphic overlays, closed captioning, and several DRM options. AWS Elemental MediaLive – Live encoding to deliver video streams in real time to both televisions and multiscreen devices. Allows you to deploy highly reliable live channels in minutes, with full control over encoding parameters. It supports ad insertion, multi-channel audio, graphic overlays, and closed captioning. AWS Elemental MediaPackage – Video origination and just-in-time packaging. Starting from a single input, produces output for multiple devices representing a long list of current and legacy formats. Supports multiple monetization models, time-shifted live streaming, ad insertion, DRM, and blackout management. AWS Elemental MediaStore – Media-optimized storage that enables high performance and low latency applications such as live streaming, while taking advantage of the scale and durability of Amazon Simple Storage Service (S3). 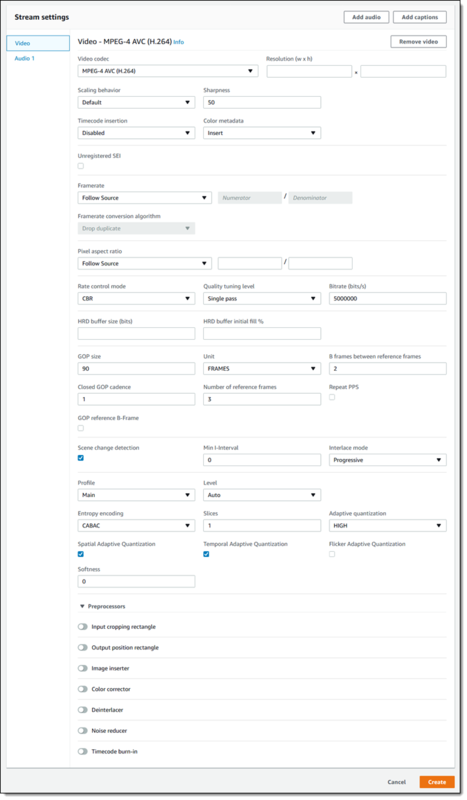 AWS Elemental MediaTailor – Monetization service that supports ad serving and server-side ad insertion, a broad range of devices, transcoding, and accurate reporting of server-side and client-side ad insertion. This entry was posted in AWS, Cloud, Computer, Murmuring, Network, Service and tagged amazon, aws, channel, cloud, drm, elemental, encoding, latency, live, low, media, mediaconvert, medialive, mediapackage, mediastore, mediatailor, ott, s3, stream, streaming, transcoding, video on November 28, 2017 by Gea-Suan Lin.